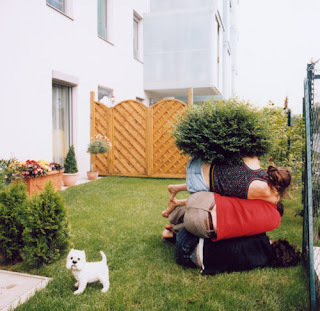 art director willi dorner and photographer lisa rastl have collaborated on two project combining humans in odd formations and unusual locations. ‘hängende gärten’ and ‘bodies in urban spaces’ both set out to explore the “relationship between body, space and architecture”. 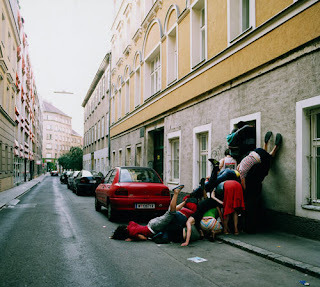 the urban based series was created as a set of human sculptures which were spread throughout the city of vienna. the artist has effectively transformed the human body into form, a complete reversal from the classical convention of creating the human form from a material.